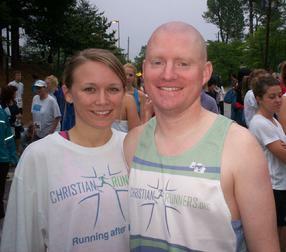 Welcome to the first ChristianRunners Chapter in Europe! We are just getting things underway here! Thanks to Joe Dillabaugh, our latest chapter leader! Soon we'll be posting info about our group runs. Interested in getting involved in Netherlands ChristianRunners? Click Here to find out more! Also, if you are training for Rotterdam, Joe is cranking up the training and looking for others who want to run this flat and fast marathon!